Acknowledging God in all that we do and say. We have not been here, for each step is strange and new. Moving ahead, our eyes are now only on You. We see Your guiding hand has been there since our youth. In darkened, dead-end pathways, all bearing no life. Assured that Your favor will abound even more. And pledge to follow onward the rest of our days. 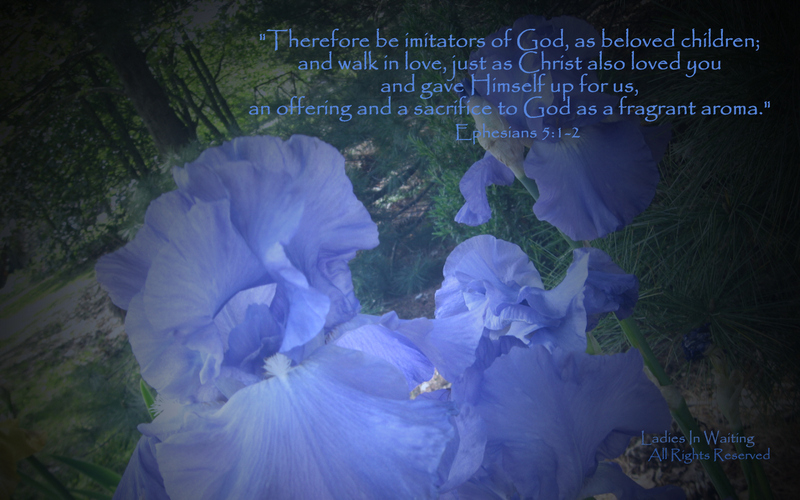 This passage exhorts believers to “walk continually in love . . . just as Christ also loved you and gave Himself up for us.” We should follow Christ’s example, in the same way that “well-beloved children [imitate their father]. And be thankful and be thankful. Relentlessly maligning God’s children, night and day. Deflect his evil deeds to magnify our faults. He sets the traps, lures of the Spirit of Offense. To counteract, we walk in love, our best defense. But we are ever vigilant around the clock. Our motives are questioned; we are misunderstood. Despite life’s challenges, we seek to rise above. Though deeply wounded when betrayed, we still walk in love. But we conquer through Christ, each time we trust and obey. For in Him all the fullness of Deity (the Godhead) dwells in bodily form [completely expressing the divine essence of God]. And in Him you have been made complete [achieving spiritual stature through Christ], and He is the head over all rule and authority [of every angelic and earthly power]. 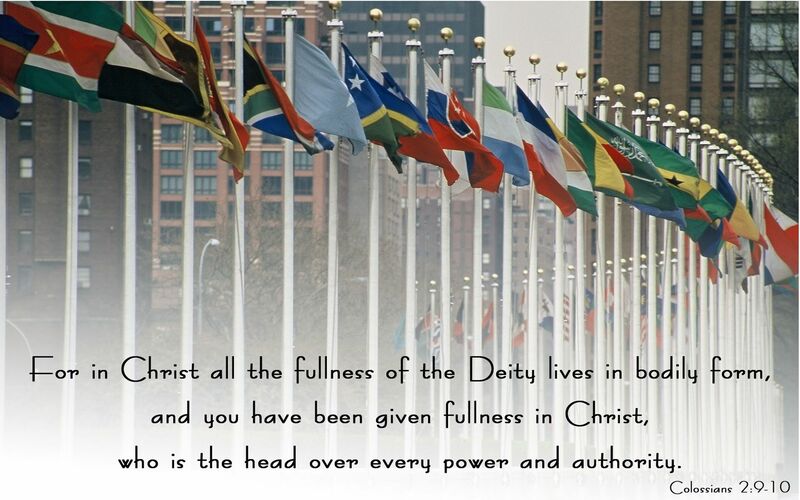 9 For in Christ lives all the fullness of God in a human body.10 So you also are complete through your union with Christ, who is the head over every ruler and authority. 8 Don’t let anyone capture you with empty philosophies and high-sounding nonsense that come from human thinking and from the spiritual powers of this world, rather than from Christ. 9 For in Christ lives all the fullness of God in a human body. 10 So you also are complete through your union with Christ, who is the head over every ruler and authority. God desires that we recognize that we are complete, that we lack nothing in our relationship with Him through Christ Jesus, our Lord. 3 Be assured that the testing of your faith [through experience] produces endurance [leading to spiritual maturity, and inner peace]. 4 And let endurance have its perfect result and do a thorough work, so that you may be perfect and completely developed [in your faith], lacking in nothing. The fullness of God abides or remains in Christ, and we abide or remain in Christ as those who are born again of His spirit. To express this reality the Greek preposition “en” is translated “in,” denoting “being or remaining within, with the primary idea of rest and continuance, also denoting continuance of time, relating to union and fellowship (E.W. Bullinger). The position of this particular preposition is conveyed as the center of a circle, a position that never changes but remains fixed. In a similar manner, our position in Christ never changes, despite what may transpire in our circumstances that constantly fluctuate. Relentless in maligning Saints, both night and day. The aim of evil deeds that magnify our faults. This passage of scripture is taken from the “Sermon on the Mount,” which some scholars maintain is really the “Sermon on the Plain.” Part of that celebrated sermon includes exhortations as to how the followers of Jesus Christ should behave. The first part of Matthew 5 includes the “Beatitudes” which form a series of eight declarations that begin with the word “blessed.” Translated from the Greek word, makarios, “blessed” refers to a state of spiritual well-being and prosperity, expressing deep joy and fulfillment of the soul. The word has been translated, happy, fortunate, favored. All that God wants us to be. Following this specific introduction, Jesus continues to instruct followers as to how they should behave, contrasting what has been previously considered as acceptable behavior with a new approach, a new attitude, that the Savior offers. 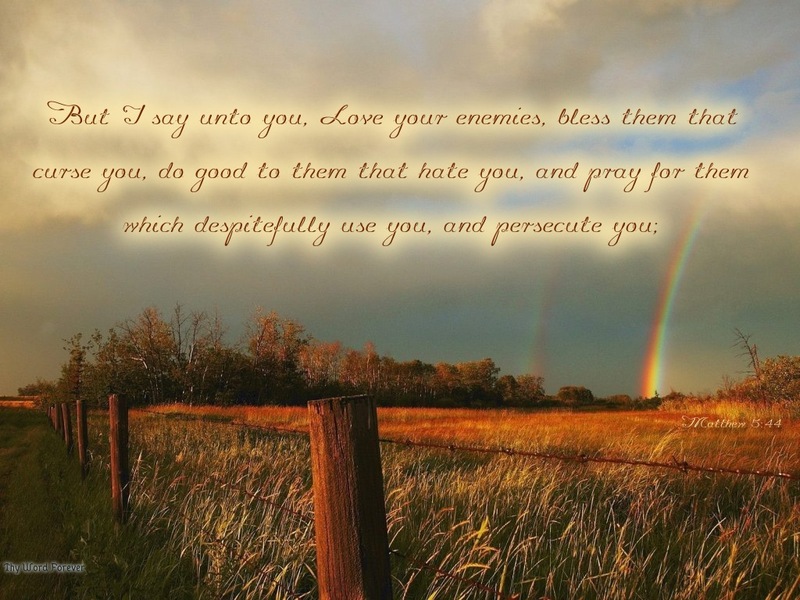 Instead of only loving those who are close to you, followers are to “Love your enemies, bless them that curse you, do good to them that hate you, and pray for them which despitefully use you, and persecute you.” As the children of God, believers are to conduct themselves in the same way that their Father does. Since God is no respecter of persons, and He “makes his sun to rise on the evil and on the good, and sends rain on the just and on the unjust,” followers should live their lives in the same manner. Therefore become imitators of God [copy Him and follow His example], as well-beloved children [imitate their father]; 2 and walk continually in love [that is, value one another—practice empathy and compassion, unselfishly seeking the best for others], just as Christ also loved you and gave Himself up for us, an offering and sacrifice to God [slain for you, so that it became] a sweet fragrance. We can thus, follow Christ’s example, as we offer our lives as sacrificial expression of our devotion to God. Walk in the love of Jesus Christ. Reflect his evil deeds to magnify our faults. [Living in the Light] Imitate God, therefore, in everything you do, because you are his dear children. Live a life filled with love, following the example of Christ. He loved us and offered himself as a sacrifice for us, a pleasing aroma to God. And pledge to press onward for the rest of our days. Be ye therefore followers of God, as dear children; And walk in love, as Christ also hath loved us, and hath given himself for us an offering and a sacrifice to God for a sweet-smelling savor. To put on the mind of Christ and learn to renew it. the image (the likeness) of Him Who created it.